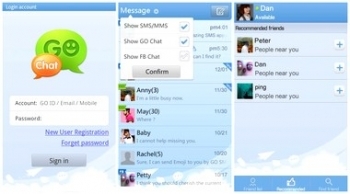 GO SMS is the most user-welcomed messaging app, not only better than the system SMS's UI & UE, but also provides theme DIY, GO Chat FREE message, cloud backup, security lock, SMS blocker, and some other useful plug-ins. Recommend to you. 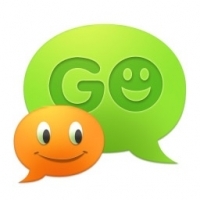 - GO Chat free IM message, supports group chat, voice talk, handwritten, graffiti, etc.